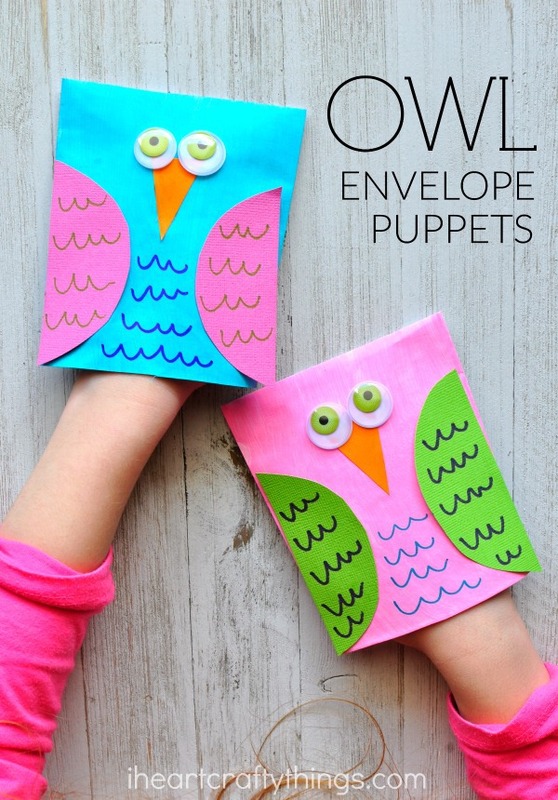 These little envelope owl craft puppets are super adorable and perfect for a fall kids craft. 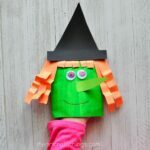 Drawing the squiggly feather lines is perfect for pre-writing practice too so this makes a great craft for toddlers, preschoolers and kindergartners. 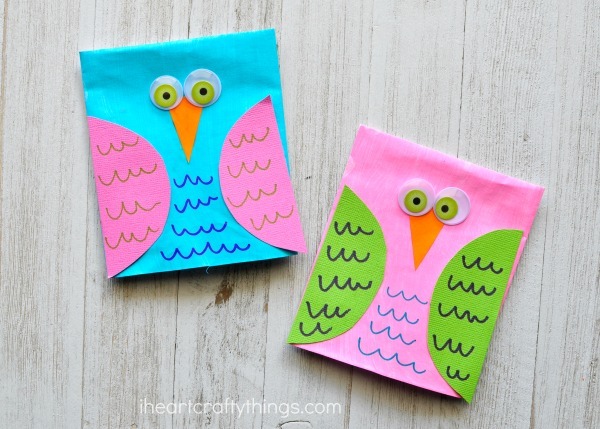 Combine this simple owl craft with a book for an afternoon full of fun. Look for book recommendations at the end of this post. 2. 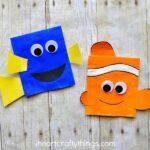 While your paint is drying, cut out two half circle shapes from your construction paper. Use the color of your choice. 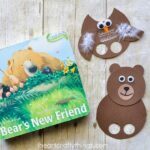 Also cut out a triangle beak for your owl. 3. When your paint is finished drying, glue your half circle owl wings onto your envelope. Then glue on your beak and googly eyes. 4. 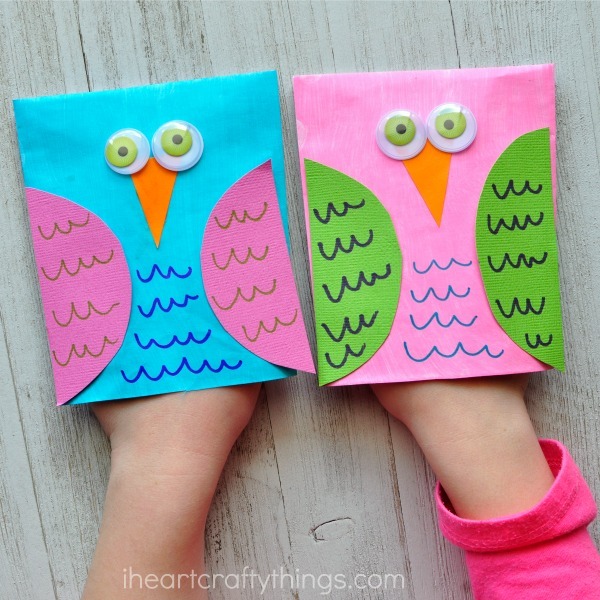 Finish your envelope owl craft puppet by using your markers to draw squiggly feather markings on the wings and in the center of your envelope between the wings. 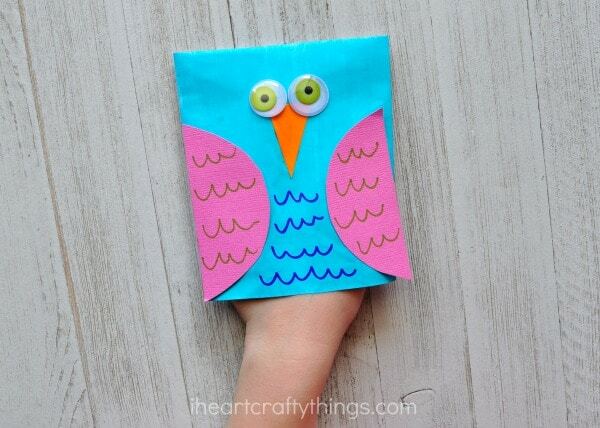 To use your fun owl craft as a puppet simply place your hand inside the open end of the envelope half. You can have fun flying your owl around or use it to retell one of your favorite owl stories.